To the beautiful, unspoilt north east coast of Sardinia, and our luxury apartment and villas situated in Pittulongu, near Olbia and the Costa Smeralda, and just a 20 minute transfer time from Olbia airport. Please note we are not an agency, and the properties that we feature on this website are the actual properties that we rent out. All the photos are taken by us and are a true reflection of what these properties look like. We have for rental one stylish luxury apartment and two luxury villas, each villa has it’s own private swimming pool within their own secluded garden. Additionally all three properties also have the use of a private communal swimming pool, in season only, and are set in the same tranquil location with fantastic views towards Isola Tavolara. The background photograph shows the nearest sandy beach which is only a 10 minute walk away. Prices start from an inclusive price of £800 per week. Architecturally designed in typical Sardinian style, the properties are attractive, well furnished, private and combine a luxury holiday with the flexibility of self catering. The two villas sleep up to 8 people, and the apartment 4 people. They are ideal for couples wanting a relaxing romantic break, for family holidays, or for a group of friends or several families who wish to holiday together, but reside separately. Pittulongu is perfect all year, and is ideal for those who wish to enjoy a stunning location, yet be close to good amenities. The location is ideal for exploring the exotic beaches of the Costa Smeralda, the marina’s of Port Cervo and Porto Rotondo, as well as the natural unspoilt interior of the island. 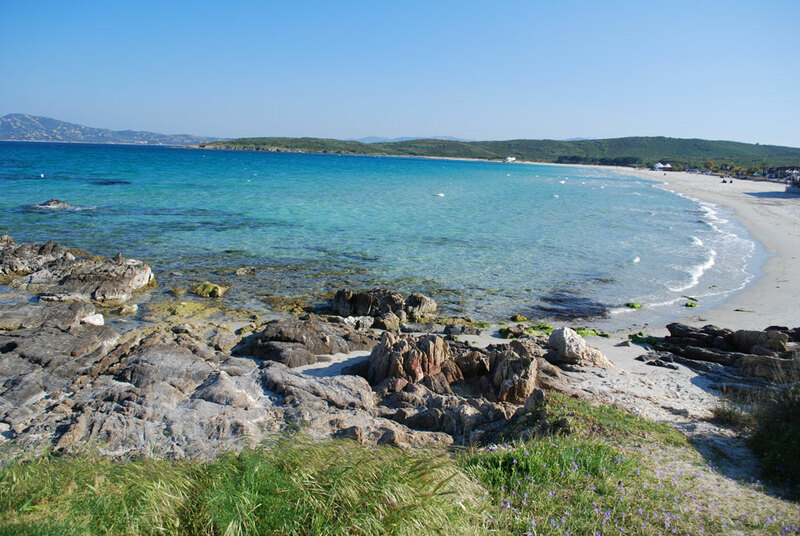 This beautiful island is to be enjoyed all year round….Sardinia is not just an Island to visit in July and August…. is a great time to visit, the perfumed flowers are in bloom, the marquis thickens and the meadows are lush and green. Easter is a time for colourful processions, and festivals. By May the sea is warm enough to swim in again, with temperatures reaching 15°c plus. This is an ideal time to enjoy sightseeing by cycling, horseback riding or simply trekking by foot. This is also the time for sporting events such as regattas, rally driving and polo. is the hottest, sunniest and driest time of the year, with temperatures reaching 25°c in July and August, and is dedicated to bathing, sailing and windsurfing. There is usually a breeze even on the hottest days. sees grape and fungi harvesting, but it is still sunny and hot throughout October and into November, with temperatures still around 15 – 20°c. The beaches are empty, but the sea is still warm enough to swim in. The evenings are cooler and more comfortable. As with the spring this is the ideal time for cycling, horse riding and trekking. is the hunting season, and can be quite cold, with snow in the central mountains. Along the coast the temperature rarely drop below 5°c. Winter is the wettest period with January the least sunny month – temperatures average 6°c plus. In his travelogue D H Lawrence wrote that Sardinia was ‘left outside time and history’. This is still true today, as the island has changed very little.